As winter slowly stumbled home, the air felt different and it started to show, as every breath resembled smoke. What do you do with 12 hours booked at the world’s most famous recording studio? You make the most of it! Never a band to play things safe, Umphrey’s McGee surprised fans by announcing a special new studio album via Rolling Stone.com titled The London Session. Recorded at Abbey Road Studios in one day, the innovative group will release The London Session on their Nothing Too Fancy Music label on April 7th. In June 2014, just following the release of their acclaimed eighth studio album Similar Skin and a triumphant set on the main stage at Bonnaroo, Umphrey’s McGee was headed to London for a three night stand at the city’s new Brooklyn Bowl. On a whim prior to the trip, they decided to just see if the legendary studio might be free. With a single 12 hour window available, it seemed the ideal opportunity to try something long discussed–to take some live songs into the studio for the first time and try out some new arrangements with fan favorites. 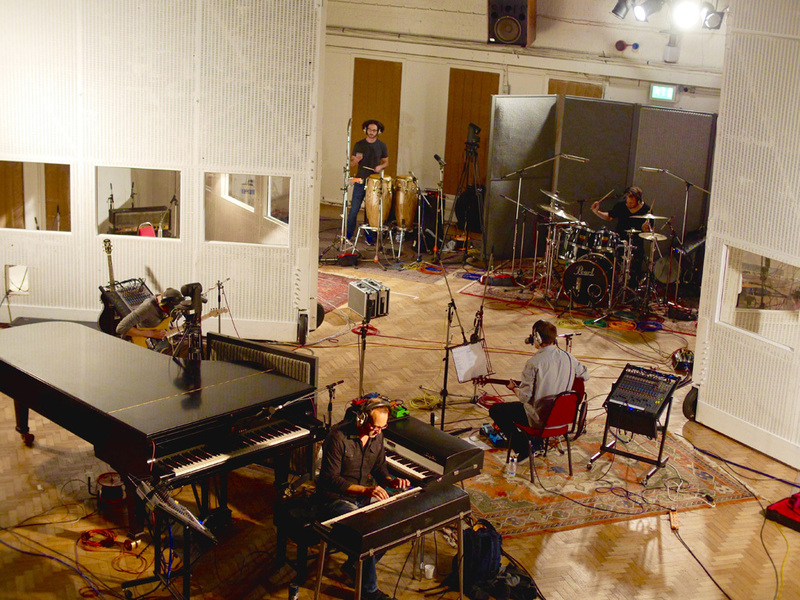 With one brand new song and an appropriate cover to bookend the proceedings, the band entered the famed Abbey Road studios on the morning of June 18th to record their ninth studio album The London Session, the second full length release on their own label Nothing Too Fancy Music. Fans of the band will be thrilled with the offering and those unfamiliar are sure to be impressed by the miraculous feat of recording 10 tracks of such high quality in 12 hours. Umphrey’s tracked all of the music live (except timbale fills on one song), but couldn’t possibly get the vocals down in the short window they had. They are exceptional and efficient, but they are merely mortal after all. All the vocals were completed upon their stateside return at The Attic in Chicago and Foreword Recording in Los Angeles. Four tracks; “Eat”, “Plunger”, “Out Of Order” and “I Want You (She’s So Heavy)”, were recorded in a single take, from top to bottom. Whether it is the scope of their music, technological innovations, creative fan-friendly experiences or their incredible live performances, Umphrey’s McGee continues to deviate from the norm by paving their own road. We invite you to come along for the ride.